Bask in the warmth of the early summer sun as you lean back in your Adirondack chair, toes in the lake. Move into the warmer part of summer under the shade of a colorful patio umbrella. And as cool evening breeze blows under the stars, gather your family around your fire table and spend some quality time together. At Aspen Spas of St. Louis, not only can we help you choose an inviting hot tub or furnish an outdoor kitchen that will be the envy of the neighborhood. We can also help you choose the perfect high quality outdoor furniture to complement your hot tub, outdoor kitchen and your personality. With a variety of styles in a rainbow of colors, you’ll find the perfect furniture to match your home. We want your patio to be as beautiful as it is functional. 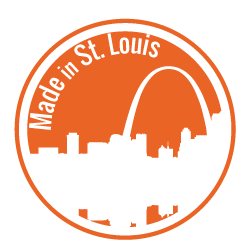 With that in mind, Aspen Spas of St. Louis has partnered with carefully chosen brands of outdoor furniture that we trust for quality, durability and beautiful design. 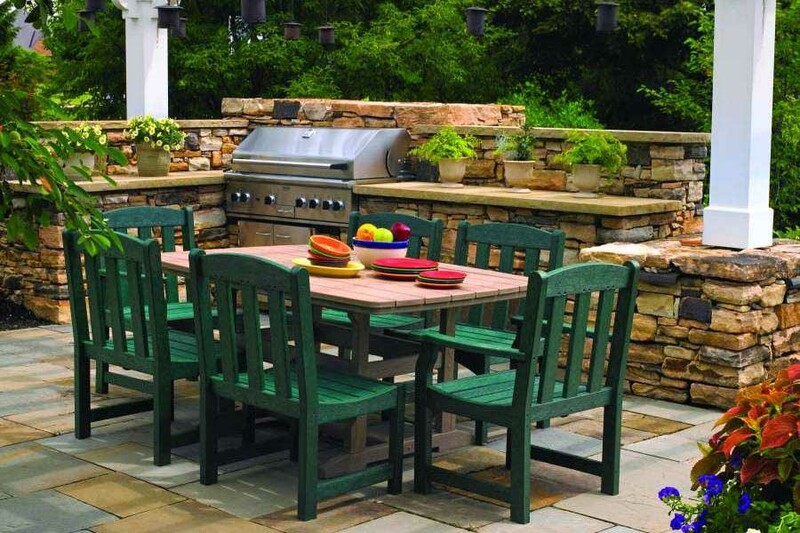 Durable Breezesta brand outdoor furniture is beautifully green no matter what its color! It’s made of recycled plastic milk jugs and water bottles and comes in a wide array of bright, mix-and-match colors. Your outdoor living areas can be as customized as the indoor spaces and reduce our eco-footprint at the same time. Aspen Spas of St. Louis proudly carries C.R. Plastic Products. Their mission is to create beautiful and functional designs from recycled plastic. 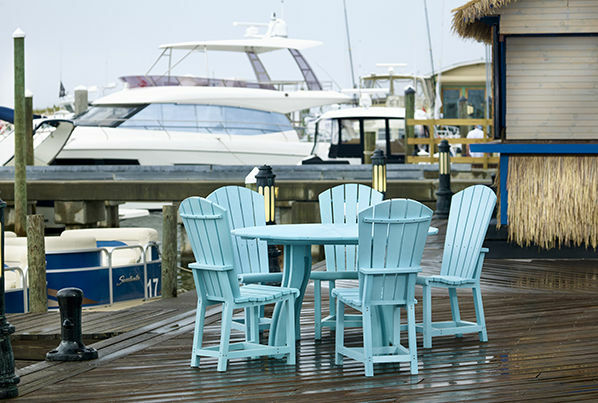 Their proprietary extrusion process results in stylish plastic lumber furniture that won’t mold, rot, splint or crack. Uncover the beauty of C.R. 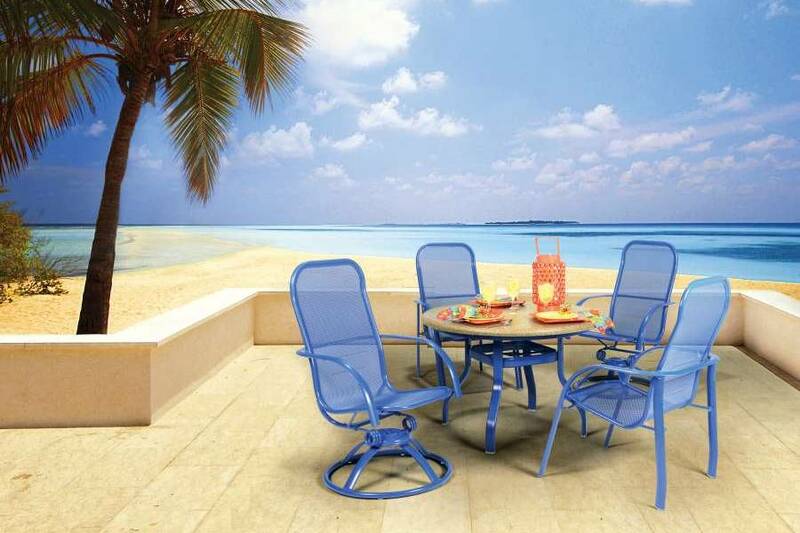 Plastic Products and its four outdoor furniture collections. 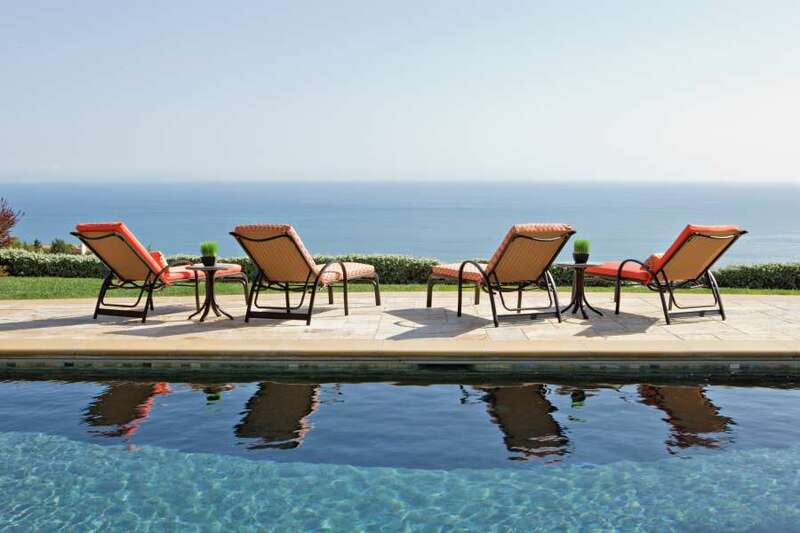 Homecrest Outdoor Living has been crafting stunning and elegant outdoor furniture since 1953. Every piece exudes comfort and sophistication. Homecrest bringing luxury to relaxation – creating a sanctuary in your own backyard. Get to know Homecrest Outdoor Living, including the Original Swivel Rocker. Telescope Casual Furniture offers the quality and expertise of a family-owned business with more than 100 years of history to back it up. Available in cast aluminum, Marine Grade Polymer and wicker, there is a Telescope for every family. Discover their sling chairs and fire tables. 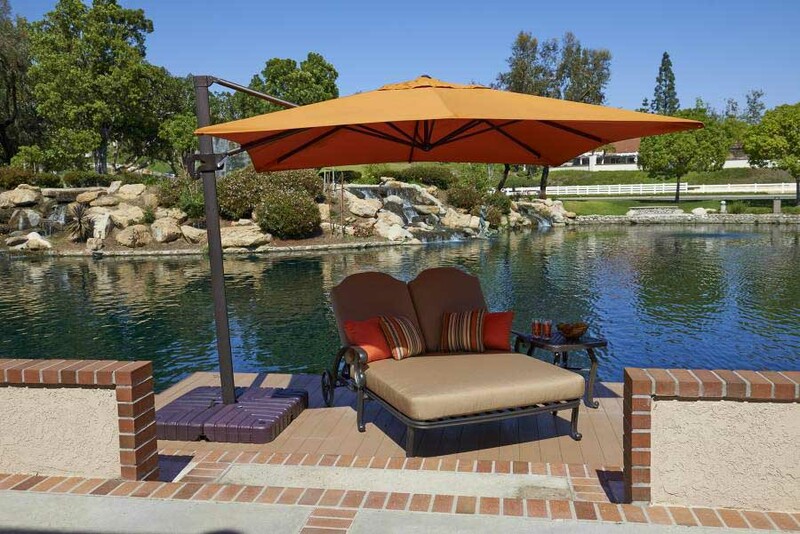 California Umbrellas are a staple of outdoor furniture. These classic umbrellas offer a cool retreat from the sun as you dine in the warm air or watch the kids play in the yard. Learn about your size, color and style options. Aspen Spas of St. Louis offers a showroom that allows you to see what this breathtaking furniture looks like in an outdoor living environment. We welcome you to stop by and experience the beauty and comfort of these quality brands, yourself. And if you have any additional questions about our outdoor furniture, please call us today at (314) 328-6008 or contact us online.